TTB Travel&Tour is a Vietnamese company with our head office based in Hanoi and operation offices in Luang Prabang, Vientiane, Phnom Penh, Siem Reap and Saigon. Established in 1996, TTB Travel&Tour is one of the first private-owned travel agencies in Vietnam. We started operations by taking travelers to Vietnam only. Over the course of time, we have grown as a leading inbound tour operator and destination management company specializing in travel to Indochina (Vietnam, Laos, Cambodia). Nowadays, our network covers entirely Indochina and we have built up long-standing relationships with local partners. You don’t need to search separately service providers in each country. We merge all three in ONE destination and offer a wide range of products that fit the taste of everyone. We aim to show travelers the most fascinating features of Vietnam, Laos, Cambodia giving them the opportunity to discover the remarkably rich cultures and scenic diversity of these countries and to experience the warmth and friendliness of their people. Interacting with local people is at the core of our travel philosophy. Why the name TTB Travel&Tour? You may ask what TTB means? The full name is Tan Thai Binh and in Vietnamese that means “New Peace”. We wanted to choose a name and build a travel company that was slightly different: modern, fresh and a whole new experience and Tan Thai Binh was the best answer to that need. 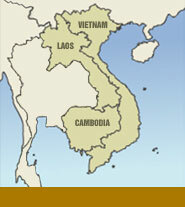 The foundation of the company took place 2 years after the USA stopped embargo on Vietnam in 1994. So this period was very significant because it marked the official end of political upheavals in Indochina and the beginning of tourism development. With new peace, we hope that the image of Indochina is no longer linked to the past turmoil but a wonderful destination that has lots of hidden secrets to discover.